1 Preheat oven to 350°F. Clean and pat dry figs, retaining stems. 2 Toss figs with oil place upright in a baking dish or on a baking sheet with a lip. Roast for 12 minutes. 3 Allow to cool and quarter as shown in photo. You can cook the figs a day in advance, but bring to room temperature before serving. 4 Combine ricotta and honey to taste just prior to serve. 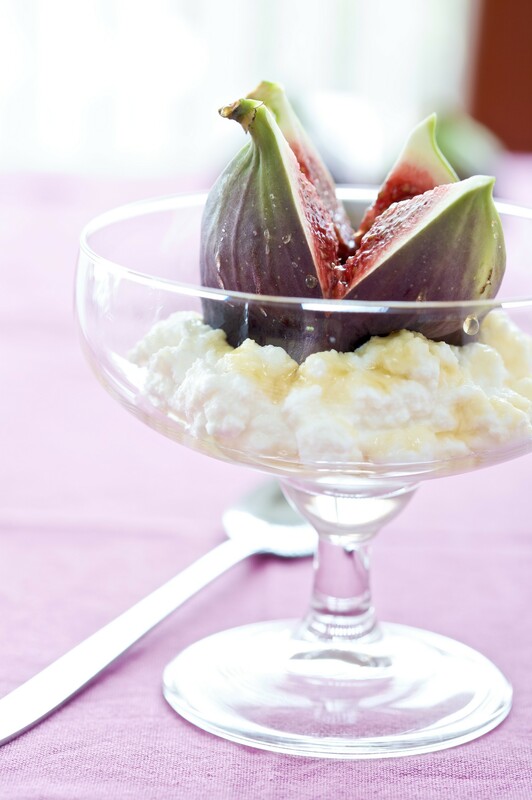 5 Serve two figs on top of ricotta mixture in serving cups or serve on toast as a breakfast option. This roasted tomato and ricotta bruschetta is a great breakfast idea or a healthy snack! One of the top healthy breakfast options around! Smooth Ricotta is the perfect spread for toast.